Hogan Lovells partners Nathan Searle and Kent Phillips examine a recent case, the first of its kind in Singapore, in which that country’s High Court set aside an investment arbitration award. In the first case of its kind in Singapore, the Singapore High Court has set aside an investor-state arbitral award on the merits against the Kingdom of Lesotho (Lesotho). The case related to claims by Swissbourgh Diamond Mines, and others that their mining leases were unlawfully expropriated in breach of Lesotho’s obligations under the treaty of the Southern African Development Community (SADC Treaty). The case is an important one, as it concerns whether investors can use arbitration to resolve cases that were pending before the SADC Tribunal when it was dissolved by the SADC Summit in 2014. It is also of significance to the development of jurisprudence on investor-state arbitration in Singapore, which is growing in popularity as a seat for such disputes. In June 2009, the claimants brought claims against Lesotho before the SADC Tribunal, which was established to ensure adherence to and interpret the SADC Treaty. The claimants alleged that Lesotho had expropriated the mining licences in breach of its obligations under the SADC treaty. The claimants had previously been unsuccessful in multiple proceedings before the local courts and in seeking diplomatic protection from the South African government. In October 2010, before the SADC Tribunal could hear the claims, it was effectively suspended by the SADC Summit, which unanimously resolved not to extend the terms of office of the five SADC Tribunal judges, therefore rendering the SADC Tribunal inquorate. In 2012, the existing SADC Tribunal was dissolved and replaced in 2014 by a new SADC Tribunal whose jurisdiction was limited to resolving inter-state disputes. It was acknowledged in the proceedings that this left a ‘legal vacuum’ for pending cases and each member state was left to decide on an alternative forum for resolution of such cases. However, Lesotho did not do this, and declined the claimants’ invitation for the claim to be resolved by arbitration before the Permanent Court of Arbitration (PCA). Thus, it seemed that the claimants would be left without a forum in which to bring their claims for Lesotho’s alleged breaches of the SADC Treaty. The claimants then commenced arbitration under the SADC Protocol on Finance and Investment (the Protocol) which allows investors to refer certain investor-state disputes to international arbitration if they arose after 16 April 2010. The eminent tribunal appointed by the PCA consisted of Doak Bishop, of King & Spalding, South African jurist Mr Justice Petrus Millar Nienaber and New Zealander David Williams QC of Bankside Chambers as chairman. The expropriation claims obviously pre-dated the effective date in the Protocol. Rather than pursue these directly the claimants argued that Lesotho had breached its obligations under the SADC Treaty after 16 April 2010 by facilitating the dissolution or ‘shuttering’ of the SADC Tribunal without putting in place any alternative recourse. The majority of the PCA tribunal (Nienaber J dissenting) found against Lesotho on the shuttering claims. It ordered that a new tribunal be established to step into the shoes of the SADC Tribunal. Through the award, the claimants had succeeded such that their expropriation claims would now be heard on their merits by a new arbitral tribunal, comprising nationals of SADC member states. In his strong dissenting opinion, Nienaber J concluded that the arbitral tribunal did not have jurisdiction because the dispute was properly characterised as the expropriation document, which pre-dated the Protocol entering into force. He also considered that the claimants had not exhausted local remedies in the Lesotho courts in relation to the shuttering claims. Lesotho applied to have the award set aside. Although the Protocol, parties and dispute had no connection with Singapore, the PCA had selected a Singapore seat for the arbitration and Lesotho applied to the High Court there. Justice Kannan Ramesh heard the case from January to April 2017. Sam Wordsworth QC of Essex Court Chambers appeared for the claimants, instructed by Rajah & Tann, the team being led by partner, Paul Tan, while Alvin Tan SC appeared for the defendants, instructed by the Wong Partnership, whose team included partners Koh Swee Yen and Smitha Menon. 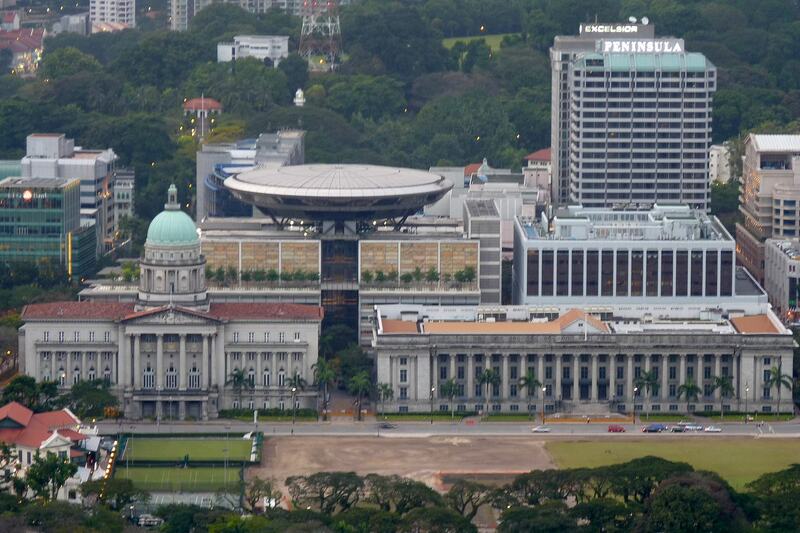 The notable ground of challenge under Singapore’s UNCITRAL Model Law-based International Arbitration Act was under article 34(2) (a)(iii) of the Model Law which allows a court to set aside an award where it ‘deals with a dispute not contemplated by or not falling within the terms of the submission to arbitration, or contains decisions on matters beyond the scope of the submission to arbitration’. Taking a broad approach to the words ‘submission to arbitration’ by reference to Singaporean authority, the court, in a 172-page judgment, concluded that the Model Law permitted setting aside an award, where a tribunal decides a matter which is beyond the scope of the arbitration agreement. The court went on to consider for itself whether this had happened here, applying a de novo standard of review. The court concluded that the Tribunal had dealt with matters not falling within the Protocol and set aside the award, as well as the subsequent costs ruling, with Ramesh J holding the PCA tribunal did not have jurisdiction over the parties’ dispute. In particular, the court found in favour of Lesotho that that the criteria set out in the Protocol had not been met in respect of the shuttering claim, with the judge holding, on an objective basis, that two disputes did not involve the same legal conflict, which he said, in his view, was “crucial”. First, the court held that the claimants’ right to submit disputes to the SADC Tribunal was not an ‘investment’ within the narrow definition of that term in the Protocol. The court rejected the majority’s finding that with the grant of the mining concessions, the claimants enjoyed a bundle of rights which included the rights to dispute resolution which had been lost. The judge preferred the view that an ‘investment’ usually comprised property in the territory of the host state, or rights arising under domestic law, and that the right to bring a claim was not sufficiently connected with the defendants’ core investment, namely, mining leases, with that right, in fact, having arisen later. Nor was it ‘admitted’ as such for the purposes of the Protocol, with the judge finding “it was not susceptible to admission in accordance with [the claimant’s] laws”. In this finding, the court took a different view to the PCA majority on a point not dealt with in the dissenting opinion. Second, the shuttering dispute did not concern any obligation of Lesotho’s in relation to the purported investment (i.e., the claimants’ right to submit disputes to the SADC Tribunal). Lastly, it found that the claimants had failed to exhaust local remedies. The judge found that it may have been possible for the claimant to bring a claim before the local courts for losing the opportunity to bring an action before the SADC Tribunal, and therefore had not exhausted local remedies in respect of the shuttering claim. For these reasons – which diverged in different ways from both the majority and dissenting opinions in the award – the court set aside the award under article 34(2) (a)(iii). Clearly, having enjoyed success in arbitration the claimants will be “understandably disappointed”, as the judgment acknowledges. Their difficulties in establishing jurisdiction stemmed from the fact that their investment, the mining leases, was made before 16 April 2010 when the Protocol came into force giving investors the right to arbitrate. The judgment highlights the difficulties faced in relation to claims that were pending before the SADC Tribunal at the time of its dissolution, in the absence of a transitional regime. There is a legal vacuum and arbitration may still be a solution to fill it, but this judgment confirms that it will require a specific agreement of the relevant state. The judgment will also be of interest in the wider arbitration community given that it is a rare instance of a successful application to set aside an award in Singapore. Of note is the extent of divergence between the court’s conclusions and that of an award made by arbitrators distinguished in investor-state arbitration. However, the judgment is not a departure from Singapore’s long-established judicial reluctance to get involved in matters the parties have put to arbitrators, when these issues fell for the court to determine through operation of the terms of the treaty and Model Law. As such, this should not discourage the continues growth of resolution of investor-state arbitrations in Singapore and nothing in the ruling suggests the Singapore courts’ regularly affirmed pro-arbitration stance is about to erode. The judgment itself says something of the contribution Singapore is making and is will continue to make to investor-state jurisprudence. In over 170 pages it draws extensively on Singapore authority alongside cases and learning from other jurisdictions and international law. This judgment shows parties to investor-state arbitrations that the Singapore courts will take a rigorous approach to analysing the terms of the treaty when determining issues of jurisdiction and will not shy away from its responsibilities in this regard. This is at a time when Singapore is attracting more investor-state disputes unconnected with the jurisdiction. Consistent with this trend, as has been reported, the Singapore International Arbitration Centre has introduced new investment treaty arbitration rules and the PCA itself has recently announced its launch there, as has the ICC International Court of Arbitration which will set up a case management office in Maxwell Chambers in the first quarter of 2018. There are also some hard reminders for investors in the mining and resources sectors and beyond looking to treaties for recourse against states. Much turns on a careful analysis of the individual treaty. Recourse may not be simple or fast; this is an extreme example but the underlying expropriation claim arises from events nearly 30 years ago. The judgment is subject to appeal so this is unlikely to be the end of the story.